Starting this season, Sydney Marovitz is implementing a Speed Slot Program, designed to give golfers the chance to play the course in under 2 hours! The Speed Slot can be played Monday- Thursday Mornings from Open-7:30am. 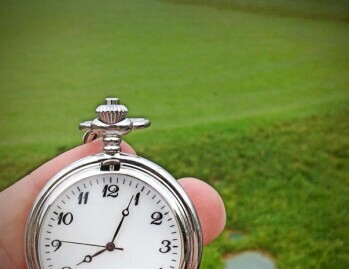 Each golfer must play the course in under two hours and must book tee time in advance to receive Speed Slot rate. In addition to the Speed Slot, we have provided a few tips that every golfer can practice during their round to help us improve the pace of play on the course.